Just like last week Venom, with Tom Hardy as the Marvel anti-hero, topped the domestic and international charts, followed by A Star Is Born. The new take on the classic tale about fame and success, directed by and starring Bradley Cooper who falls in love with Lady Gaga, is holding pretty well on its second week of release, adding $28 million domestically, with a dip of just 35%. Overseas, it added $20.2 million, with the U.K. leading the way with $3.8 million and a total so far of $12.3 million. With strong debuts in Asia, Latin America and Italy, the romantic drama stands at $135.4 million globally. But the real story this week is Sony’s Venom, that keeps appealing to moviegoers of all ages and from all over the globe. In North America, the $100 million comic book adaptation added $35.7 million, for a total so far of $142 million. Overseas, an extra $41.2 million this past weekend brought the total to $253 million, for an impressive worldwide cumulative of $379 million and also the title of the No.1 film in 54 countries. 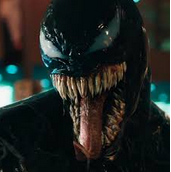 Venom opened in France with $6.7 million. Vietnam, a country hardly listed when it comes to top markets, delivered $3 million. Thailand was good for $2.2 million. On its second week, South Korea has already generated a total of $25.4 million, followed by Russia with $23.6 million and Mexico and the U.K. with $18 million. Audiences seem to appreciate the film aims to be pure and simple entertainment, without lofty social and political commentary. And with no competition in terms of live-action blockbusters until Fantastic Beasts: The Crimes of Grindelwald on November 16, Venom’s success seems to have no end in sight, also because it has not landed in two major markets yet. Japan is due for a November 2 release. The following week is China’s turn, with Internet giant Tencent, which bought 25% of the film, fully behind it with all its resources. The success of Venom and A Star Is Born made life pretty difficult for First Man. It’s the story of Neil Armstrong landing on the Moon, in July 1969. It stars Ryan Gosling, reuniting with Damien Chazelle after the success of La La Land. It had critical acclaim, but on its box-office blastoff, First Man delivered just $16.5 million domestically and $8.6 million from 22 markets, led by the U.K. with $3.1 million. Co-starring Claire Foy, Jason Clarke, and Lukas Haa, the film had a production cost of about $70 million. With more than half of its audience over 35, Universal believes the biographical drama will have legs and will eventually deliver. Fourth on the worldwide charts was Smallfoot, that grossed $14.5 million from 57 countries and over $9 million in the U.S. It was followed by Hong Kong crime thriller Project Gutenberg, that added $22.3 million to reach a total of $140 million. Zhang Yimou’s widely acclaimed Shadow added $8.2 million, for a total of $80.2 million. Next on the charts, was Sony’s Goosebumps 2: Haunted Halloween. North America delivered $16.2 million,16 overseas territories were good for $3.7 million. Spy spoof Johnny English Strikes Again, starring Rowan Atkinson, added $11.5 million out of 56 territories. Also, in this case, the U.K is leading the way with $10 million so far. Agent English travels to Germany next week, and it hasn’t landed in the U.S yet. Among new entries, surreal mystery thriller Bad Times at the El Royale has a big cast: Jeff Bridges, Chris Hemsworth, Dakota Johnson, Jon Hamm, and Cynthia Erivo. It delivered $7.2 million in North America and $4.1 million out of 36 markets. This past week, several critically acclaimed films had their debut in select theaters. Amongst them: Beautiful Boy, starring Timothée Chalamet and Steve Carell, and The Happy Prince, with Rupert Everett directing and starring as Oscar Wilde.